Keep the NVIDIA GeForce GTX 1080 drivers on Windows 10 up-to-date, then you will have the best gaming performance. The drivers can be downloaded from NVIDIA official website freely. So you can download the drivers manually. Alternatively, you can download the drivers by using a free driver update tool, which of course should be trusted. Ensure that you download the correct version, as incorrect version of the driver would cause incompatibility issue. Following steps are for your reference. 1. Go to NVIDIA official website. Point the cursor to DRIVERS at the top menu. Then select All NVIDIA Drivers. 2. Under Option 1, select “Product Type” to GeForce, “Product Series” to GeForce 10 Series, “Product” to Geforce GTX 1080, then select the Operating System to the specific version that you are using (Windows 10 32-bit or Windows 10 64-bit). If you are not sure what Windows version that you have, see How to Quickly Get Operating System Version. 3. Click on SEARCH button. Then you will be directed to the download page. 4. Click on DOWNLOAD button then follow the on-screen instructions to download the driver. Searching and Downloading drivers manually can take forever. And it is possible to download the incompatible drivers. So instead of downloading Windows 10 drivers for Geforce GTX 1080 manually, you can use Driver Easy to help you automatically. 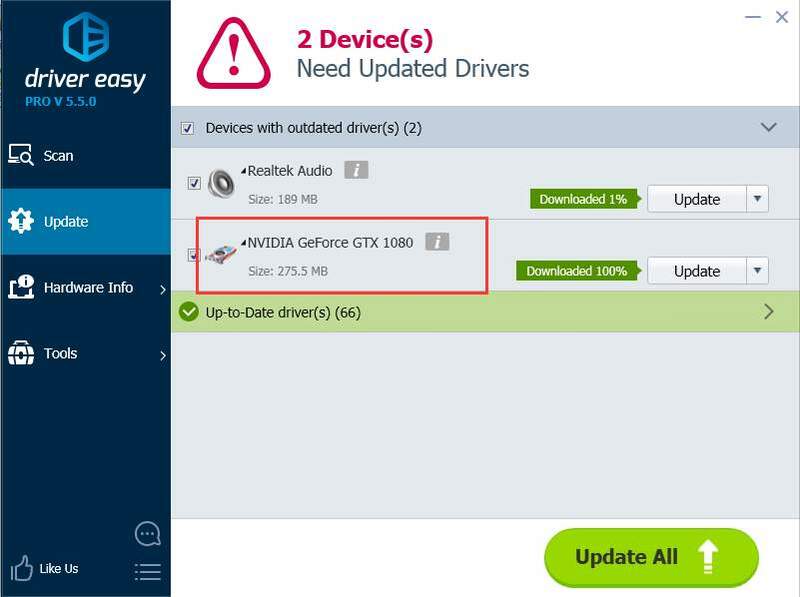 With Driver Easy, you can expect that much time and energy will be saved on updating drivers. Driver Easy has Free version and Paid version. Both versions are available to download drivers. All you need to do is click your mouse 2 times. 1. Click Scan Now button. 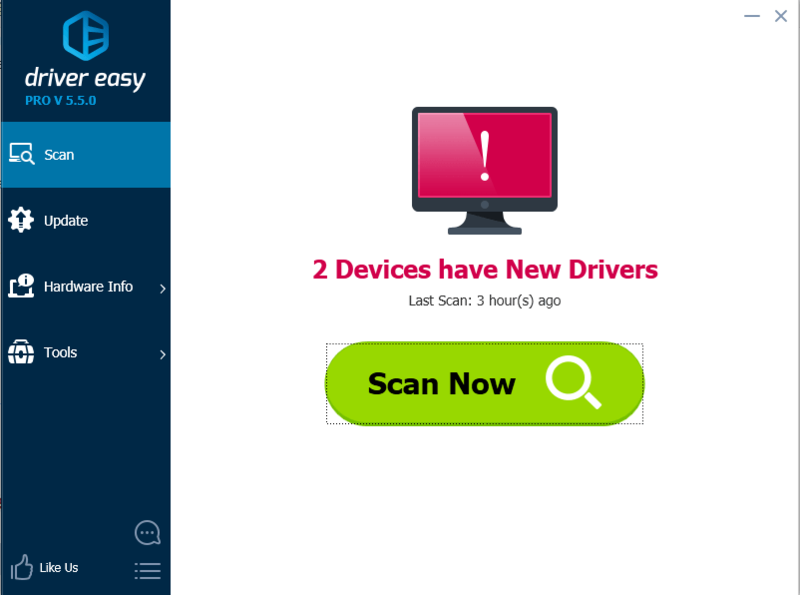 Then Driver Easy will scan your computer within 20 seconds and find new drivers for your instantly. 2. Click Update button to download the driver that you wish to install. With Free version, after download completes, you are required to install the driver manually. If you want to have the driver installed automatically, you can consider upgrading to the Paid version. The Paid version will provide you with higher download speed and full features. Moreover, you will enjoy free technical support. You can contact our professional support team for further assistance regarding any driver issue you’ve met. And you will have 30-day money back guarantee. Just feel free to ask for a full refund if you are not satisfied with the product.